Vox Cantoris: Nick Donnelly, Vox Cantoris now Infovaticana - who's next on the Bergoglian hit list? Nick Donnelly, Vox Cantoris now Infovaticana - who's next on the Bergoglian hit list? Yet another attempt by corrupt church officials to silence faithful Catholics. It was just over three years ago when a Vatican communications "expert" attempted to sue this writer over his objection to the reasonable response to his public commentary. Between pressure from his Order, financiers, a Cardinal, Breitbart, and hundreds of blogs around the world, the matter ended in embarrassment and ridicule for him and boosted this blog from just over 600,000 page views after ten years to what will be 5,000,000 by Easter or sooner, depending on Pope Bergoglio. 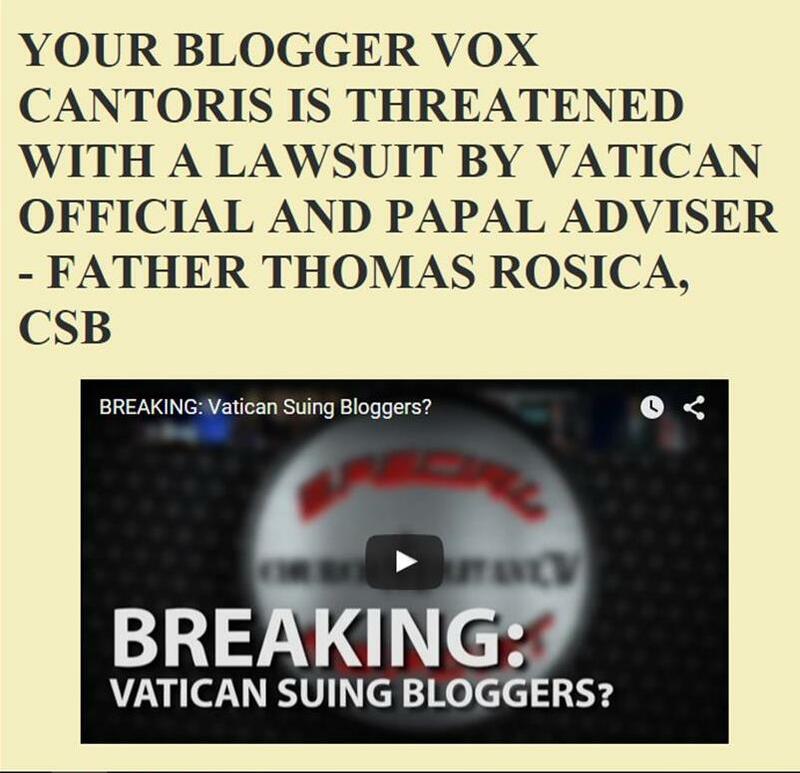 Now, we see that the Vatican itself is attempting through an American law firm to shut down the Spanish blog, Infovaticana. They write, "The Vatican Secretariat of State wants InfoVaticana to close, and has contracted for it one of the most powerful law firms in the world, which does not accept any agreement that does not involve the final closure of this portal and the delivery of the InfoVaticana domain. com to your client." The background on the story can also be read at ChurchMilitant who with Michael Voris was instrumental in assisting this writer's pushback against the "high profiled Vatican official" that attempted to silence this writer. The Vatican, it seems, has learnt nothing from the past. Infovaticana must stand firm in this assault on freedom of thought, speech and expression and in violation of Canon 212. Bergoglio, Parolin and the rest of these malefactors should understand it perfectly clear, we're not going away anytime soon. The Führer is on the war path - he's not called the Dictator Pope for nothing. It will aid the sale of that book when it is published next month. It is very brave of the author to attach his real name to the work as he doesn't really have to, but it's good that people are not afraid any more to stand by their writing. Same in your case & the other two you mention. Standing together in the battle against a sinister situation in the Vatican is of the utmost importance as the public depend on the Truth being passed on to them & they won't get it from mainstream media. Even commenters have been blacklisted for suggesting that PF may not have been authentically elected. As in Nick Donnelly's case it could really backfire on them - he just opened another ProtecttheFaith which is going strong & the same will happen at InfoVaticana if they are forced to close. They will just open another & let us know its new name. That will cost the Vatican more money & so it can go on. They cannot win in a situation like this - it will even drive away those who have been their supporters when they witness such vindictiveness. 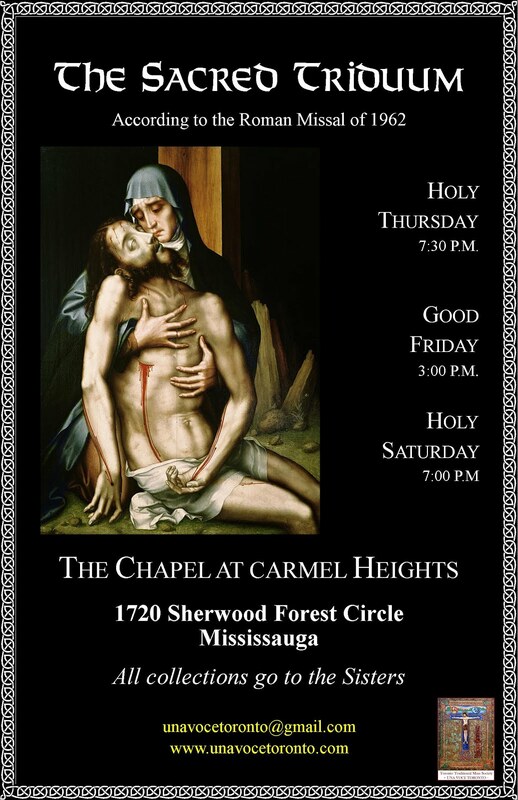 The Mother of God will be standing close to you all. Don't give in! Wake me up when the 1930's end. this is idiotic and illustrates the lack of charity the so called humble Pope possesses. This will not end well for him. Of that I am sure. Last week Fra Cristoforo changed his website Anonymous of the Cross so that it now requires an email address and pre-approval to access. I've tried numerous times without success. Has anyone else had this problem? I note that ++Ricardo Blázquez who made the complaint is a member of the Congregation of Divine Worship & the Discipline of the Sacraments - ++Robert Sarah's domain. Is this also a back-handed attack on ++Sarah?